Our first Sunday in Florence. We started our first Sunday in Florence with a walk around the city. Our first stop was only two blocks from our apartment. 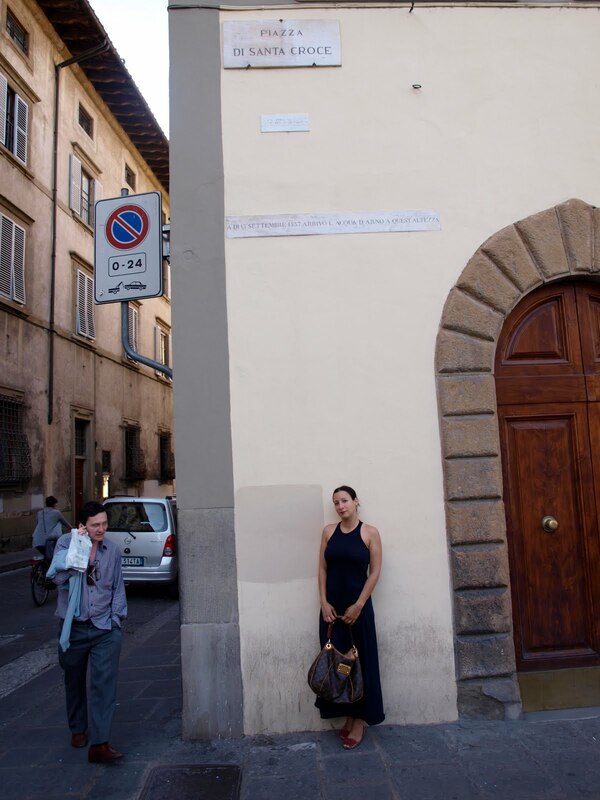 We noticed these signs on the corner of the Piazza Santa Croce. 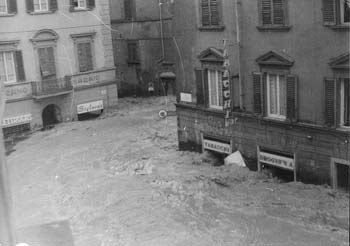 On November 4th 1966, Florence experienced a flood that was so devastating that it nearly wiped away the most important artifacts of this great city. It is estimated that 1,500 works of art were destroyed or disfigured. In fact our neighborhood is known for shops that are still restoring the artwork damaged by the flood. Over 20 feet of water. The top plaque is for the 1966 flood and the bottom is for the flood of 1557. A photo of the same corner on Nov. 4th 1966. We continued onto the Santo Spirito district to an area we dubbed "the garden block" because we had noticed many venders peddling flowers and plants. 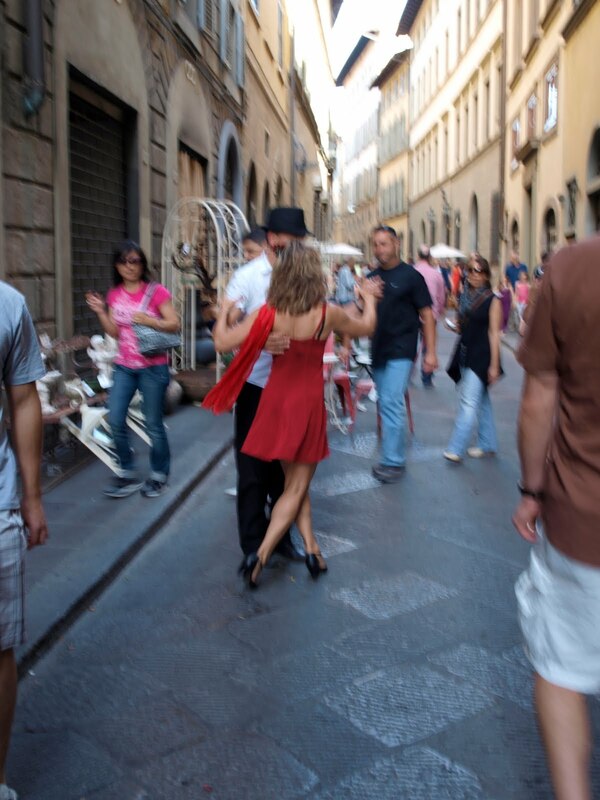 When we arrived there we were greeted by the Tango on the Block Festival. 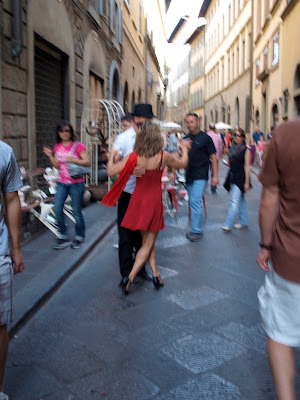 I enjoyed watching couples dancing without a care while tango music played from strategically placed speakers on the streets. Finally we arrived at the Boboli Gardens, a famous park in that is home to a distinguished collection of sculptures dating from the 16th through the 18th centuries. There you can view the bronze copy of the Statue of David. It is a magical place to bring a bottle of wine and sit down to watch the sunset over Florence. The view from the Boboli Gardens. HD and I enjoying the end of evening. 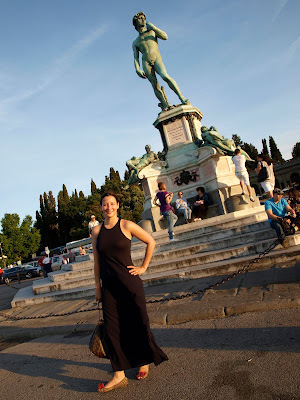 The first 24 hours in Florence. We are here! Florence is just as beautiful as I imagined and our apartment is amazing! It is an old 13th century Convent across the street from the Santa Croce. It was remodeled into a loft and it also has the most charming garden that I plan on using for studying and dining alfresco. Yesterday we decided to go out and explore our new home. 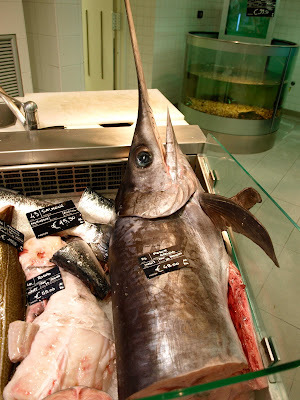 We found the market a few blocks from home that has meat, fish, veggies, and all the basic's. The hard part is deciding which vender to buy from. 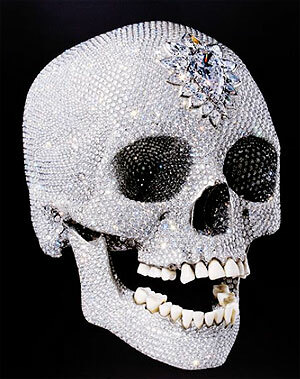 After the market we went to see the David Hirst's Skull called For the Love of God, which is covered in 8,601 diamonds. goofing around in the museum. 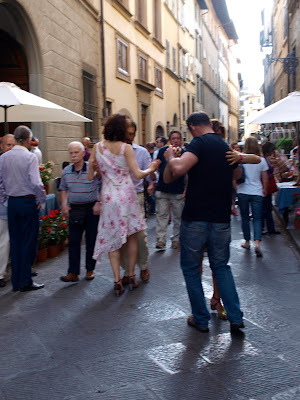 Later that night we went out for dinner in the Oltrarno area which means "across the Arno". On my passeggiata (Italian for evening stroll) I found this fountain in the Piazza de' Frescobaldi which was designed in the 16th century. On my walk I noticed these very unique street signs. I am not sure who designed them but I plan on researching it. By far the best sign I saw was in a window for a local travel agency. It describes Italians perfectly. 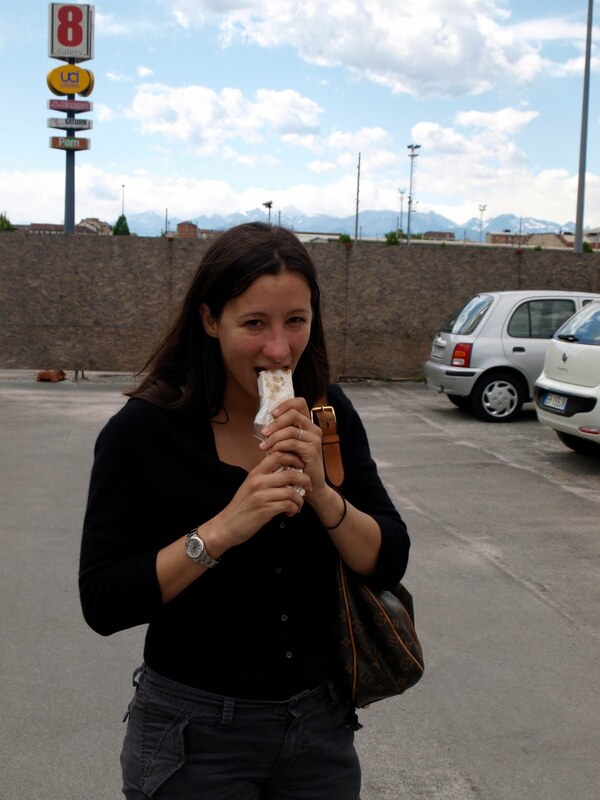 One of the most important things to do while you are in Piedmont is to have lunch at Eataly in Torino. 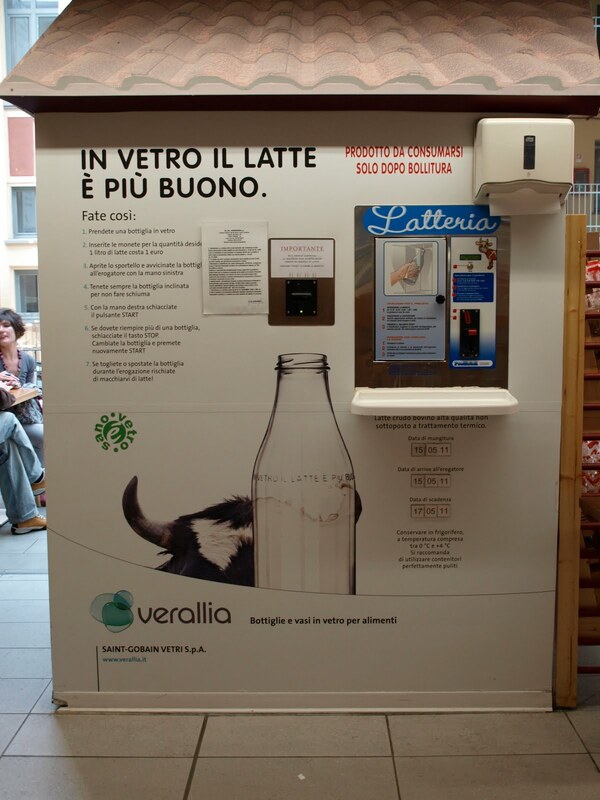 Since I have only been exposed to Eataly New York, I was extremely excited to visit the flagship store. They currently have seven locations around the world and future projects in Russia, London, and Rome. 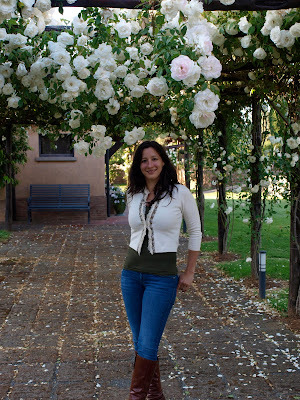 I can't wait to return when I go back to Piedmont for harvest and do some serious shopping. Here are a few highlights from my trip. Or maybe you like your wine on tap? Tonight you swim with the fishes! It is really a great place to spend the afternoon for lunch or to shop. A visit to Tenuta Dell'Ornellaia. 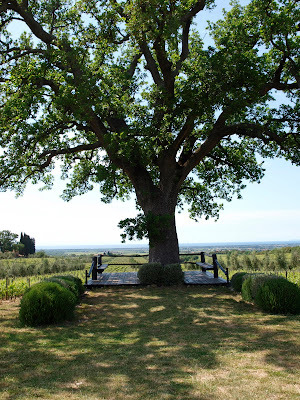 During my visit to Bolgheri, I was very fortunate to stay in the guest house of Tenuta Dell' Ornellaia. The Estate is around 192 hectares and approximately 97 are dedicated to vines which are planted with Cabernet Sauvignon, Cabernet Franc, Merlot, and Petit Verdot. The winery is famous for Ornellaia, which is a Bordeaux-style red wine that has been in production since 1985. The estate also produces a second wine, Le Serre Nuove and a another wine called Le Volte. 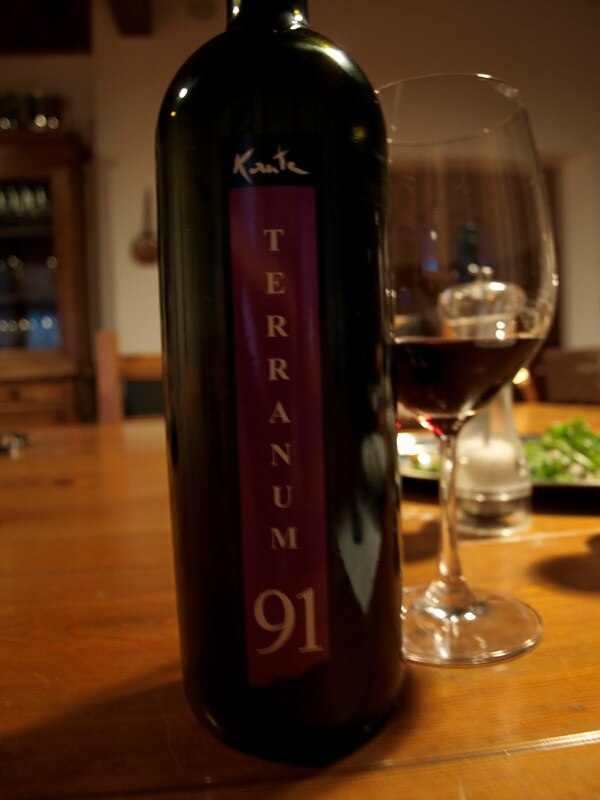 Its top wine Masseto, is made form 100% Merlot grapes. The tree that is on the home page of the website. The wind coming from the Tyrrhenian sea helps cool the vines and prevents moisture and humidity which prevents rot. 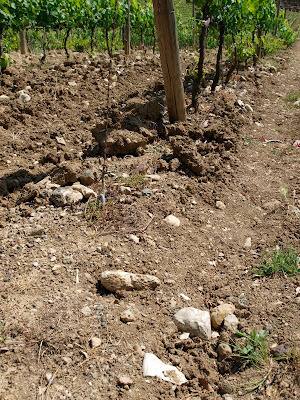 A combination of alluvial and volcanic soils, which is rich in marine sediments adds complexity and minerality to the wines. It was interesting to see the soil change color from an iron rich red to a light grey dirt in just a few rows. It was a truly unique experience to see such a variation in soils within such a short distance. 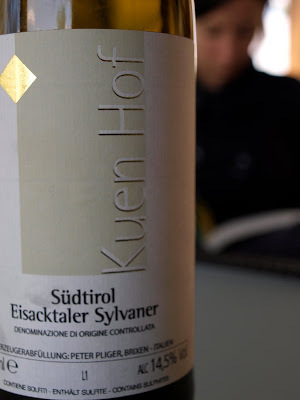 The estate which is pictured on the label. At only 7 ha (about 17 acres) the Masseto vineyard is a very special cru. It is the only known site that has large rocks in all of Bolgheri. 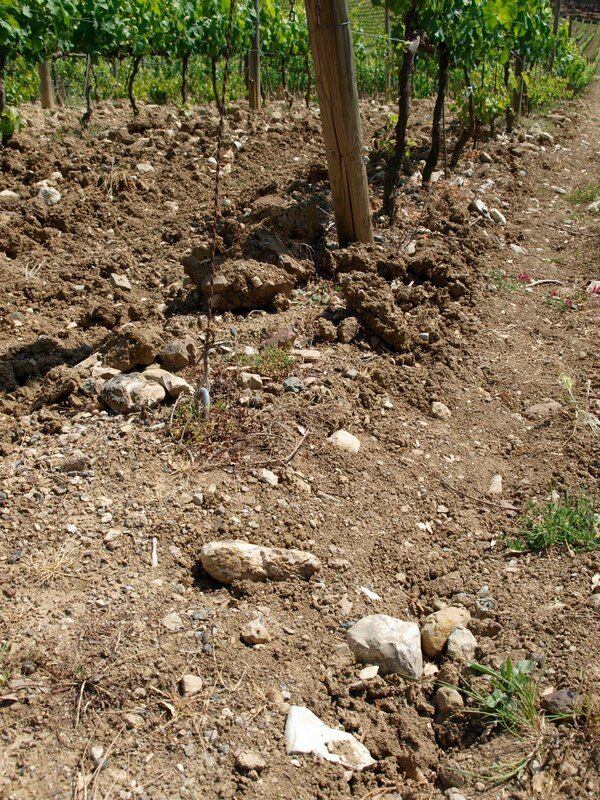 Merlot is planted here with much success since its first vintage in 1986. It is one of the most expensive and rare Italian wines available on the market. 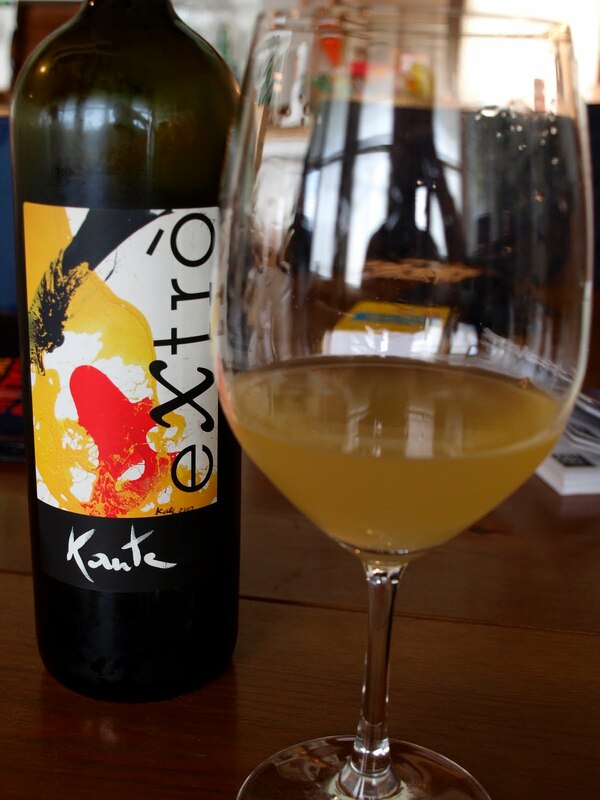 It is barrel aged in French oak for 24 months, and another 12 months in bottle. Bottling and packing the current release of Masseto. We ended our night by the beach for a romantic dinner, a bottle of Ornellaia, and watching the sunset into the Mediterranean Sea. Sorry for not posting much lately, but I am currently in Alba this week for Nebbiolo Prima. I feel like I am at boot camp because every morning I wake up at seven and evaluate about sixty nebbiolo wines. Barolo, Barberesco, Roero, etc... We are evaluating the 2006 to 2008 vintages. 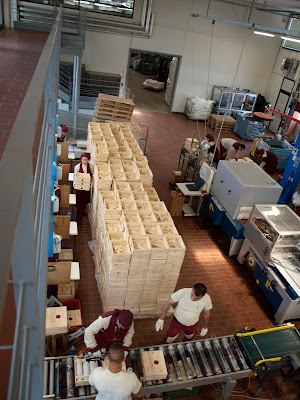 12:30 is lunch followed by seminars, meeting winemakers, and more wine tasting. For dinner we enjoy great food and wine with the producers. By the time I am done for the day I will have tasted and/or drank over a hundred wines. I finally make it to bed around 1 am. 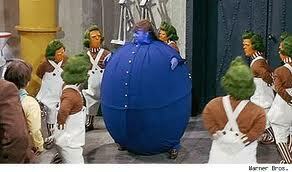 Once I rinse off my purple tongue, I promise to be back. Public bathroom in Friuli. a.k.a. Oh hell no! When traveling through Italy with only one suitcase it is extremely important to have clean clothes. So how do I get my clothes clean? 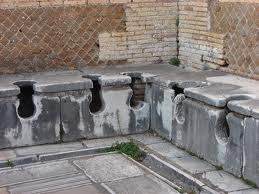 In the 18th century I could have washed my clothes in a public laundries that were called “fulleries.” I would have had to join the workers called “fullones” and beat my clothes with a stick or jump in to stomp on them with my bare feet. After what would seem like backbreaking work I would than have the luxury of hanging my clothes in an nearby field to dry. While visiting Trento, I was able to find a laundromat that was self-service. It also was conveniently located to a café that takes to go coffee to a new level. They do not use disposable cups in Italy instead they place your coffee on a serving tray and when you are finished you return it. It sure beats Starbucks! I am currently staying at a home that has a combo washer/dryer all in one unit. The only downfall is that it takes over four hours to clean my clothes. This is considered a luxury in Italy. Most households wash their clothes and hang them out to dry in the sun. Fortunately for me (because that does not sound like fun way to spend an afternoon) it rains almost every day in Friuli. This also gives me the precious time that I can devote to more important things, like drinking good wine and eating scrumptious food. I never thought that laundry would become such a chore.